From Anne: Earlier this year we had the chance to collaborate with Elisa Marshall, an events and entertaining #bossbabe who is as lovely as she is inspirational. An entrepreneur who started the the hugely popular celebrity hangout cafe Maman in Manhattan (and now beyond, with 6 locations in NYC and 1 in Toronto), Elisa also has her own entertaining column in Martha Stewart and brings to her business many years of event planning experience as the CEO of her own events company. Elisa brings such a beautiful touch to her parties and we couldn’t be more thrilled with the Somebunny Loves You party we worked on together. 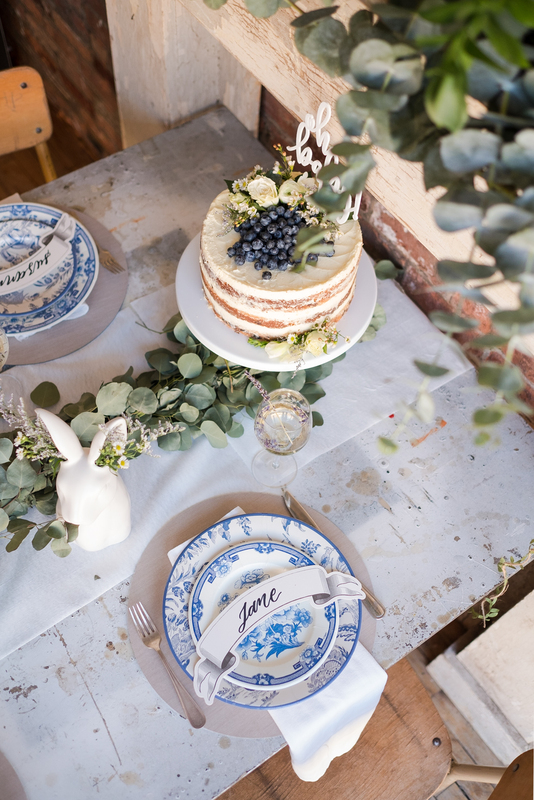 The baby shower blueprint is so lovely and classic, transporting guests right into the French countryside with rustic florals and provincial prints. 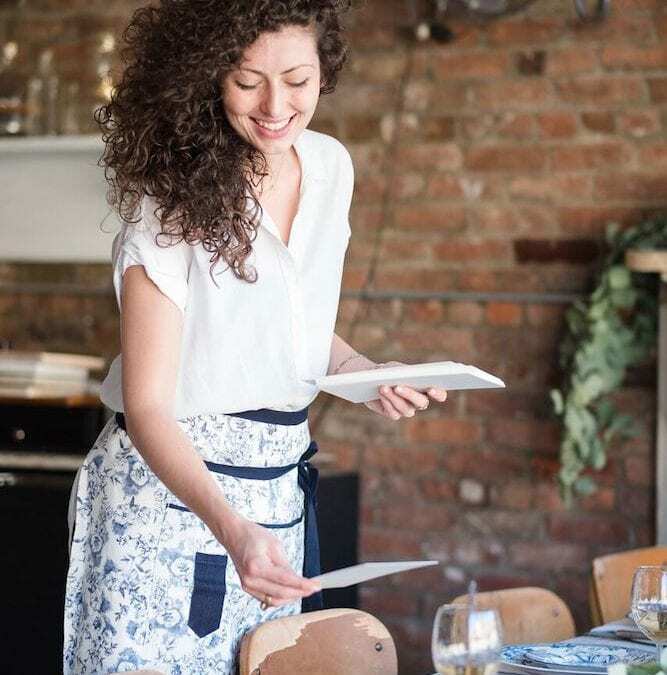 With our collaboration with Elisa, we thought it’d be the perfect opportunity to pick her brain for entertaining tips to share with our readers. Thank you Elisa for taking the time to speak to us! Anne: Tell us a bit about Maman and what led you to start your own business? Elisa: Maman is a café and event space and what led me to start it was the need to find a space where I could put everything under one roof. When I moved to NYC, there was nothing like it. Many cafes felt cold and sterile, and there were not a lot of intimate event spaces. Not everyone can entertain 15 people in NYC, and I wanted to be able to do that for events at Maman. Anne: I love that! 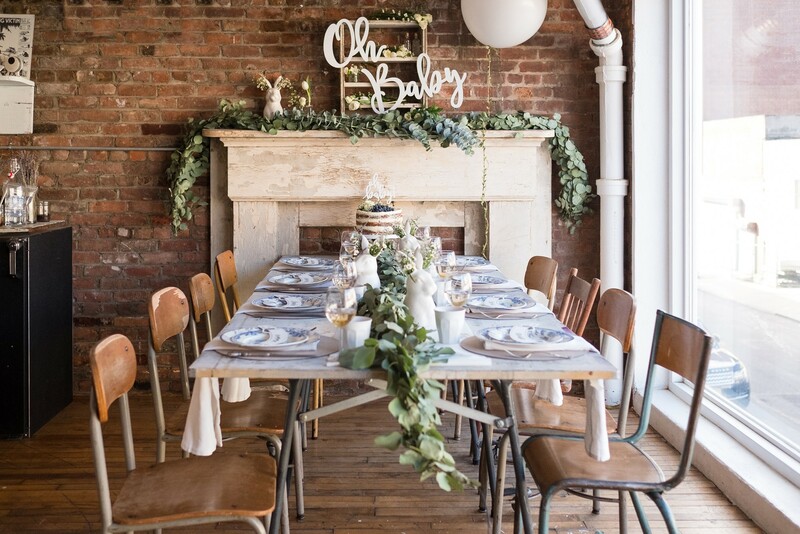 As a longtime Manhattan resident, I definitely get that people want to host intimate events that reflect their personality and hosting style. A sterile space doesn’t cut it. Elisa: Exactly. I want Maman to be an extension of your dining room. Anne: Amazing. With all the events you have hosted at Maman, what has been your favorite? Elisa: I loved collaborating with Annie’s homegrown on a children’s event – they gave me so much creative license to activate it in different ways! I did DIY stations and food stations, and the collaboration allowed me to branch into branded events. It ended up being one of the larger events that we have done in the space! Anne: Lovely. Can you talk a little bit about what is inspiring your menu and spaces for Spring? Elisa: Absolutely. All of the dishes are named after women in our lives or have some sort of relevance. That is something special and personal for us. We bring everyone in on it – we have recipes from our chef’s mom, and we collect recipes from staff members who reach out to their moms for recipes. It’s a family affair. In terms of Spring, I love florals and that is a big part of our shop decor. We roll out a weekly floral delivery to all the spaces. We love to incorporate seasonal ingredients and each season brings us new items to work with – fiddlehead ferns, watermelon radish, asparagus and ricotta. We love using seasonal vegetables for unexpected combinations. Anne: Delicious! The food is always a special part of any celebration, and I love that you are so focused on that. What are some ways that you like to make an event like a baby shower special and personal? Elisa: Personalizing an event and making it something that speaks to the person that we are celebrating is very important to me. One of the ways I do this is by going away from the norm and the conventional – even thinking of a shower dinner, for instance. For events, always think outside of the box and making it exciting for the guests. Evening events are a great option, as is keeping events interactive with fun elements, such as a workshop. For baby shower, consider keeping it co-ed – the dads are equally part of the celebration! Anne: That definitely resonates! If we want them to be equal partners in parenting, they should get in on the parenting tips often given out by veteran parents at the shower! On that note, we have one more question for you. 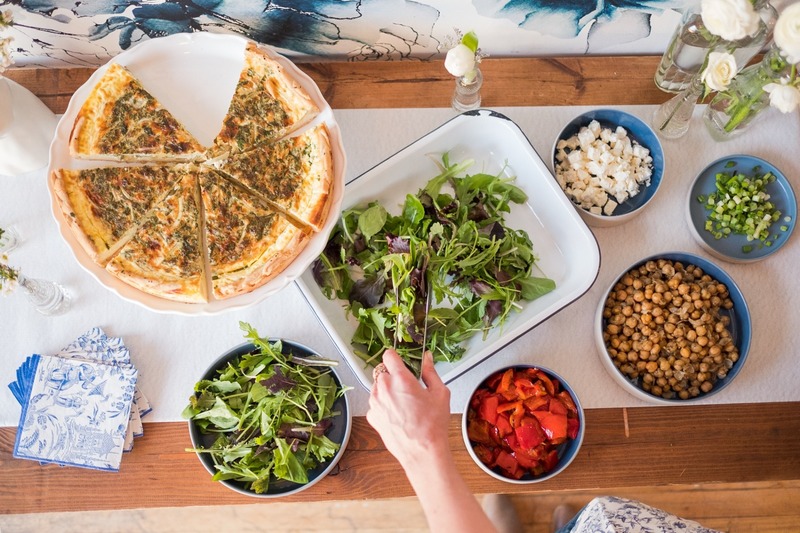 What are your favorite tips for easy entertaining? Elisa: Easy. First, determine which style or format event you want to have. Do you want people mingling or should it be more formal? How do you envision the overall picture of the event? Is it nighttime and candle light or is It breakfast but you still want people mingling because they may not know each other? Once you determine the style, figure out a theme and create a vibe around it. Create a mood board on Pinterest; having a visual element as a guideline will help make it easier. Last, find a venue that properly compliments the vibe and mood you’re going for. Some venues can eliminate a lot of the stress that comes into event planning. 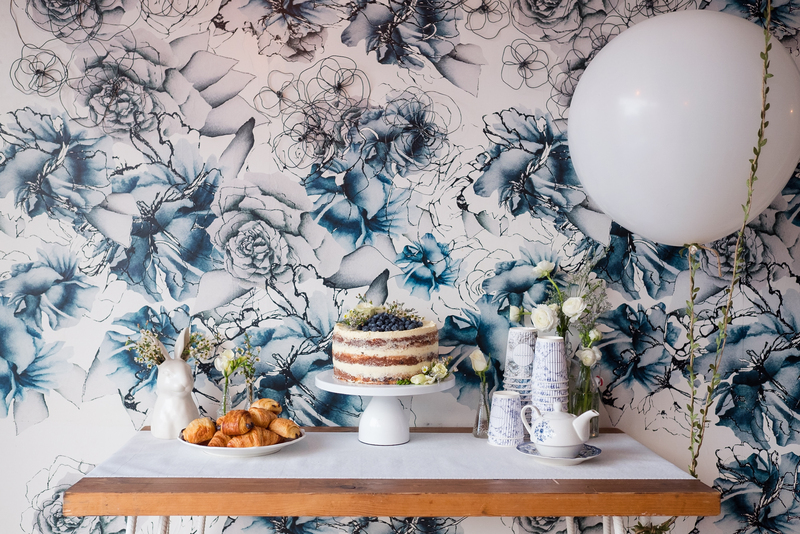 At Maman, we get so many baby and bridal showers because it’s beautifully decorated and the space speaks for itself and does a lot of the work for you. Anne: Thank you Elisa! These are great pro tips and our readers will love them. Elisa: Of course, the pleasure is mine. Check out the Somebunny Loves You baby shower blueprint we collaborated on with Elisa and create the look for your next baby shower! Photography by Christine Yoo and Aletiza Photo (Annie’s Homegrown Event).